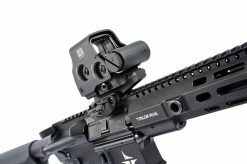 FAST™ FTC Magnifier Mounts feature the first ever Flip-To-Center (FTC) mechanism (patent-pending), providing stowage completely within the footprint of the weapon's receiver while not occluding the host optic's sight picture at all. 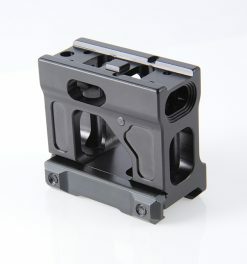 This provides the most optic capability with the lowest profile during all modes of operation. 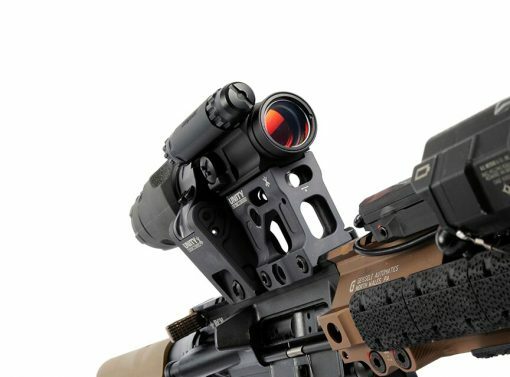 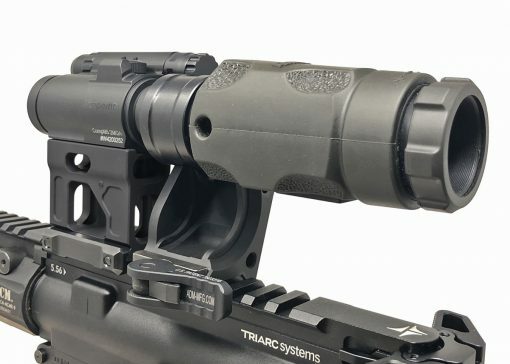 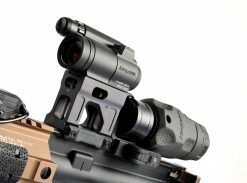 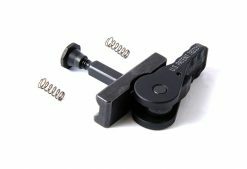 The revolutionary FTC function completely solves the problem posed by legacy flip-to-side magnifier mounts (when disengaged, the magnifier hangs off the side of the gun, creating a major snag hazard). 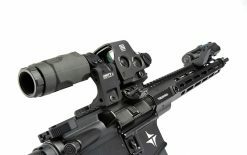 FAST™ FTC Magnifier Mounts completely eliminate this danger and utilize a force-to-overcome mechanism for rapid transition. 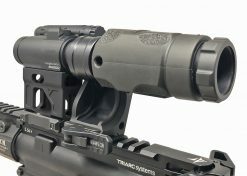 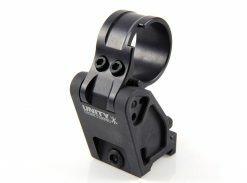 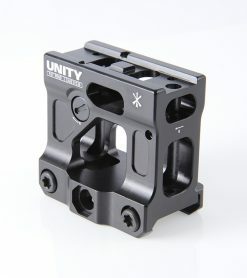 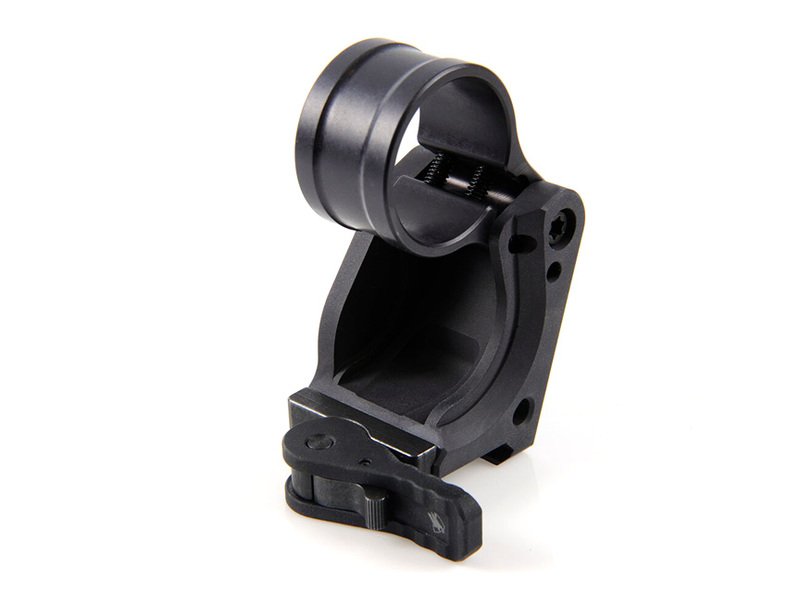 Designed for Aimpoint® Magnifiers (3XMag-1, 3X-C) and some other 30mm magnifiers. 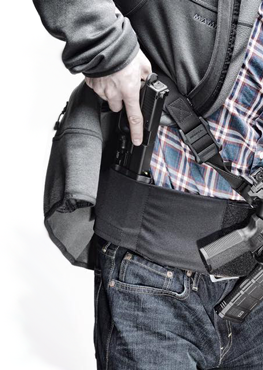 FAST™ FTC Magnifier Mounts come complete with American Defense Manufacturing® patented QD Auto-Lock™ Lever. The FAST™ FTC Magnifier Mount is built from 7075-T6 Aluminum and Type III Hardcoat Anodized Black or FDE*.